Below are three articles which explain much about the trail of people who make money from the theft of resources and the theft of the lives of largely innocent people.The trail stretches from Syria/Iraq to Turkey/Israel and beyond. Some readers may have read one or both of the first two articles by William Engdahl but few, I think, will have read the third article which is not to be missed. The Western press featured stories about ISIS selling oil initially to explain how ISIS got their funding. What was left unsaid was where the funding came from in the beginning to place ISIS in a position to capture those oil wells: where the oil went to; through whom and who made money from these transactions. All this information was, no doubt, included in the dossiers that Vladimir Putin handed out to the national heads attending the recent G20 meeting. He identified 40 countries and individuals who were supporting and facilitating the terrorism of ISIS et al. - Ali Baghdadi and the 40 Thieves. "Turkey is a beautiful land, rich in resources, with many highly intelligent and warm people. It also happens to have a President who seems intent on destroying his once-proud nation." Of course, psychopaths eventually end up destroying everything they touch. That is the nature of psychopathy: that is the nature of nihilism; same, same. They worship power and have no God above themselves. Turkey is a beautiful land, rich in resources, with many highly intelligent and warm people. It also happens to have a President who seems intent on destroying his once-proud nation. More and more details are coming to light revealing that the Islamic State in Iraq and Syria, variously known as ISIS, IS or Daesh, is being fed and kept alive by Recep Tayyip Erdoğan, the Turkish President and by his Turkish intelligence service, including MIT, the Turkish CIA. Turkey, as a result of Erdoğan’s pursuit of what some call a Neo-Ottoman Empire fantasies that stretch all the way to China, Syria and Iraq, threatens not only to destroy Turkey but much of the Middle East if he continues on his present path. In October 2014 US Vice President Joe Biden told a Harvard gathering that Erdoğan’s regime was backing ISIS with “hundreds of millions of dollars and thousands of tons of weapons…” Biden later apologized clearly for tactical reasons to get Erdoğan’s permission to use Turkey’s Incirlik Air Base for airstrikes against ISIS in Syria, but the dimensions of Erdoğan’s backing for ISIS since revealed is far, far more than Biden hinted. ISIS militants were trained by US, Israeli and now it emerges, by Turkish special forces at secret bases in Konya Province inside the Turkish border to Syria, over the past three years. Erdoğan’s involvement in ISIS goes much deeper. At a time when Washington, Saudi Arabia and even Qatar appear to have cut off their support for ISIS, they remaining amazingly durable. The reason appears to be the scale of the backing from Erdoğan and his fellow neo-Ottoman Sunni Islam Prime Minister, Ahmet Davutoğlu. The prime source of money feeding ISIS these days is sale of Iraqi oil from the Mosul region oilfields where they maintain a stronghold. The son of Erdoğan it seems is the man who makes the export sales of ISIS-controlled oil possible. Bilal Erdoğan owns several maritime companies. He has allegedly signed contracts with European operating companies to carry Iraqi stolen oil to different Asian countries. The Turkish government buys Iraqi plundered oil which is being produced from the Iraqi seized oil wells. Bilal Erdoğan’s maritime companies own special wharfs in Beirut and Ceyhan ports that are transporting ISIS’ smuggled crude oil in Japan-bound oil tankers. The second article is a follow-up from William Engdahl and was published a couple of days ago after the shooting down of the Russian bomber by a Turkish jet fighter. All publicly available intelligence surrounding the deliberate and illegal shoot-down of the Russian SU-34 fighter-bomber over Syrian airspace on November 24 by planes of the Turkish Air Force indicate the action was pre-meditated and carefully so. The relevant question is by whom and for what end or ends? The Russian Prime Minister has pointed to Turkey’s losses from the destruction by the Russian bombing campaign of the last days of the illegal oil ISIS terrorists were smuggling from seized oilfields in Mosul. That may be only the tip of a very big iceberg. First it’s important to look closely at Turkey’s role in facilitating the illegal oil smuggling that is reportedly the major funding source for IS terror gangs in Syria and Iraq. In August in an article I wrote for this website I documented the fact that the Harvard-educated 35-year-old son of Turkish President Erdogan, Bilal Erdogan, was up to his eyeballs in smuggling stolen Iraqi oil via Turkey to select markets. That illegal oil finances the major activities of ISIS in Iraq and Syria, a point of which Russia’s Putin gently reminded US President Obama and others at the recent Antalya, Turkey G-20 meeting. Fourteen months of alleged US bombings of ISIS targets never once went after the oil chain from Mosul and other ISIS occupied sites through Turkey onto tankers owned by Bilal Erdogan’s tanker companies. The brazen actions of the Erdogan cabal became a bit more ridiculous and transparent the day following Turkey’s unwarranted and unprecedented downing of the Russian bomber and rescue helicopter. Turkey’s Prime Minister, Erdogan intimus Ahmet Davutoğlu, named the son-in-law of the President, 37-year-old US-educated Berat Albayrak to be Turkish Energy Minister, which would make the new Energy Minister and the oily Bilal Erdogan brothers-in-law. That keeps everything firmly in the family to be sure. Read the rest including many links to further information at Erdogan’s Russian Roulette–Was It Only About Oily Revenge? Oil produced from fields under the control of the Islamic State group is at the heart of a new investigation by al-Araby al-Jadeed. The black gold is extracted, transported and sold, providing the armed group with a vital financial lifeline. But who buys it? Who finances the murderous brutality that has taken over swathes of Iraq and Syria? How does it get from the ground to the petrol tank, and who profits along the way? The Islamic State group uses millions of dollars in oil revenues to expand and manage vast areas under its control, home to around five million civilians. IS sells Iraqi and Syrian oil for a very low price to Kurdish and Turkish smuggling networks and mafias, who label it and sell it on as barrels from the Kurdistan Regional Government. It is then most frequently transported from Turkey to Israel, via knowing or unknowing middlemen, according to al-Araby's investigation. The Islamic State group has told al-Araby that it did not intentionally sell oil to Israel, blaming agents along the route to international markets. All around IS-controlled oil fields in northern Iraq and eastern Syria, there are signs that read: "Photography is strictly forbidden - violators risk their safety." They have been signed in the name of the IS group. These oil fields are in production between seven and nine hours a day, from sunset to sunrise, while production is mostly supervised by the Iraqi workers and engineers who had previously been running operations, kept on in their jobs by IS after it captured the territory. IS is heavily dependent on its oil revenues. Its other income, such as from donations and kidnap ransoms has slowly dwindled. Workers in IS oil fields and their families are well looked after, because they are very important to the group's financial survival. IS oil extraction capacity developed further in 2015 when it obtained hydraulic machines and electric pumps after taking control of the Allas and Ajeel oil fields near the Iraqi city of Tikrit. The group also seized the equipment of a small Asian oil company that was developing an oil field close to the Iraqi city of Mosul before IS overran the area last June. IS oil production in Syria is focused on the Conoco and al-Taim oil fields, west and northwest of Deir Ezzor, while in Iraq the group uses al-Najma and al-Qayara fields near Mosul. A number of smaller fields in both Iraq and Syria are used by the group for local energy needs. 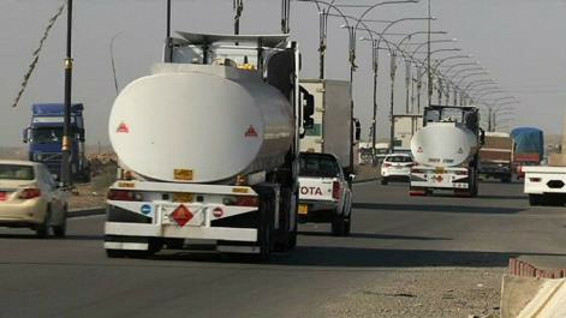 According to estimates based on the number of oil tankers that leave Iraq, in addition to al-Araby's sources in the Turkish town of Sirnak on the border with Iraq, through which smuggled oil transits, IS is producing an average of 30,000 barrels a day from the Iraqi and Syrian oil fields it controls. All of the above testifies to a truly diabolical enterprise. The bankers, who control israel, Britain and the US and subsequently their military and spook agencies, train and equip terrorists and set them upon any country who defies the bankers' dictates. Profits are made from the funding and equipping of these lunatics from hell and now we have the lunatics stealing state assets such as oil to partly self fund themselves and provide profits back to their patrons: a vicious cycle if ever their was one. It is a diabolical, nihilistic 'gravy train' that will devour the whole world unless action is taken to stop it. This truth seems to be slowly dawning on some European leaders but are they too compromised to turn around even now? Russians, though, are taking that action and the nihilistic bankers are opposing them with all the resources their money, deceit and lies they can muster.